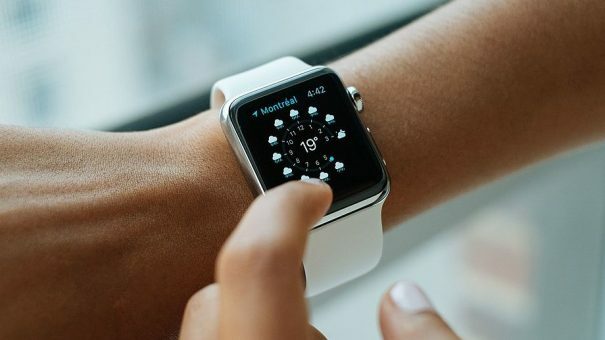 A large-scale study has provided some evidence that the Apple Watch could be used to detect atrial fibrillation (AFib) and provide a potentially life-saving early warning for the condition – although the result suggests the tech isn’t quite ready for prime time. The ‘virtual’ Apple Heart Study allowed subjects with an iPhone and Apple Watch to enrol online, download an app and use it for several months to see if it was possible to detect AFib remotely, cross-checking the app findings with conventional testing using an electrocardiogram. One out of every four people will experience AFib at some point in their lifetime, raising their risk of stroke and heart failure, although the condition often goes undiagnosed. Having AFib gives a four- to five-fold increased risk of stroke, and it kills around 130,000 people in the US every year. “The study’s findings have the potential to help patients and clinicians understand how devices like the Apple Watch can play a role in detecting conditions such as atrial fibrillation,” said Minang (Mintu) Turakhia, co-principal investigator and associate professor of cardiovascular medicine at Stanford Medical School. In the study, the Apple Watch app used an algorithm that gauged if the watch wearer’s heart was beating irregularly, and if so stepped up the monitoring rate. If five out of six checks indicated an irregularity in the heart beat, the subject would receive a warning via the app, and be given the chance to connect with a doctor employed by telemedicine company American Well. After a consultation, the subjects would either be advised to visit a doctor immediately, receive an ECG patch (ePatch) that would be worn for several days, or were excluded because they had already been given a diagnosis of AFib. Apple and its collaborators at Stanford University reported preliminary results at the American College of Cardiology (ACC) conference in New Orleans over the weekend showing that the Apple Watch app was able to predict AFib effectively with an 84% success rate from a sample of almost 420,000 subjects. Around 0.5% of the sample – a little over 2,000 people – received an alert that they may have AFib and were referred to the telemedicine service, which the investigators said indicated that there wasn’t an excess of false positives. The alert was acted on by 945 people – which raised questions about how to motivate people to engage with the process – and around 650 of them were subsequently sent an ePatch. All told, AFib was identified in around 34% of the latter group. Marrying the two data sets did throw up a discrepancy, with the app showing a positive predictive value (PPV) of 71% when its diagnosis of AFib was compared directly to the ePatch readings. That shows that its accuracy is “still far short of more traditional and currently used monitoring techniques”, according to ACC.org editor-in-chief Kim Eagle. It’s also worth noting that the Apple Watch used in the study was an earlier generation without the built-in ECG tech of the most up-to-date model, which was recently the subject of an alliance between Apple and Johnson & Johnson that will focus on AFib detection. Patient recruitment is due to start in late 2019 for the J&J-backed HEARTLINE study, which will put the new Apple Watch through its paces in the early detection and diagnosis of AF and the potential to improve outcomes, including myocardial infarction, stroke and death.